A religious culture and moral knowledge teacher at İskenderun’s Mithat Paşa Primary School asked students about their preference between President Recep Tayyip Erdoğan and Islamic scholar Fethullah Gülen, parents have complained. “Who likes FETÖ and who likes Recep Tayyip Erdoğan?” the teacher, known by the initials M.A., asked fourth grade students, in the latest of growing divisive language spurred on by the government in the recent past. The Evrensel daily quoted parents as saying that students aged between 9 and 10 have become disenchanted with religious culture courses and prefer not to attend in classes in the midst of similar incidents. 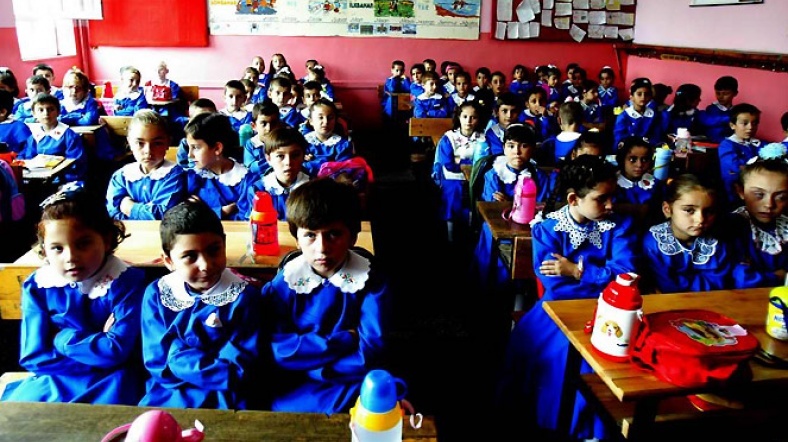 The teacher was also reported to have asked students if they support the Justice and Development Party (AKP), Republican People’s Party (CHP) or Peoples’ Democratic Party (HDP) a class last week. The Education Ministry distributed “Attempt to Invade Turkey with a Coup” brochures at all state schools at the beginning of school year. Some 19 million students also watched a video of President Erdoğan reciting the Turkish national anthem along with footage from the night of July 15, when an abortive coup took place in Turkey. The government accuses Gülen of masterminding the coup attempt, calling him the leader of FETÖ [Fethullahist terrorist organization]. He denies any involvement and has called on the government to provide evidence.